In the Xmas story we are told that 3 wise men came to the stable where Jesus was born, with gifts of Frankincense, Myrrh and Gold. It is now common knowledge that the gold referred to in the Bible was Turmeric, which at the time was more expensive and more sought after than gold. What were they thinking? These aren’t riches! If I get a few herbs for Xmas instead of an expensive present this year, that present is going back to sender. There are fairy godmothers out there bestowing fame, fortune and beauty and all that poor baby got were herbs! Isn’t it interesting though that in the scientific literature of today we find that Frankincense, Myrrh and Turmeric are 3 of the most potent herbs ever? 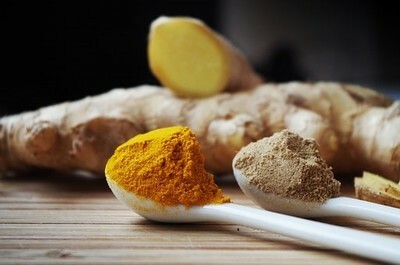 To most of us Turmeric is a spice we add to our curries for a bit of flavour, but it comes from the root of the Turmeric herb and is widely used in Chinese and Ayurveda healing, as well as in the Western world. The main medicinal actions of Turmeric are that it is anti-inflammatory, antioxidant, antimicrobial, carminative (digestive ease) and depurative (improves detoxification and elimination). Herbalists will routinely prescribe Turmeric for a wide variety of inflammatory conditions but you can have it for free at dinner time! The second gift –Frankincense –is a resin taken from the plant and put into an oil. Frankincense has anti-inflammatory, antiseptic and carminative medicinal properties to name but a few. Herbalists will routinely prescribe Frankincense oil or Boswellia for Arthritis, oral health issues, digestive disorders, uterine health and skin issues. And then there is Myrrh. (What my cat sounds like when it purrs). A few of Myrrh’s medicinal actions are anti-inflammatory, vulnerary (promotes the healing of wounds when applied topically), antimicrobial, and antibacterial. Herbalists will routinely prescribe Myrrh for such issues as Asthma, mouth/throat inflammation, Women's issues and skin inflammations. The secret of herbs is their synergy. Herbs can be very effective on their own but many times more powerful in combination. These 3 herbs work very effectively together. Now here’s the crunch -the top cause of all illness today is Inflammation! And, as we’ve seen, the top medicinal action for Turmeric, Frankincense and Myrrh is Anti-inflammatory! Ain’t that grand? For excellent health and longevity these were the greatest gifts that could be bestowed upon baby Jesus and kings alike, so I guess they are better than that new car I had my eye on. Five Unusual Qualities that Make a Great Trainer!